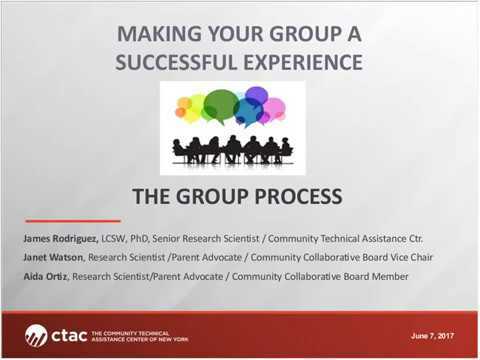 In this webinar, providers learn about the group process model developed by Bruce Tuckman (Forming, Storming, Norming, Performing, and Adjourning). The presenters will discuss various aspects of organizational preparation, and identify common challenges throughout the group process with suggestions for effective challenge resolution. Various group models will be examined.